Following popular demand and successful exploration, Soul Music Industry, in partnership with Olmeca Tequila, decided to make their next move and grant their fan’s wishes. 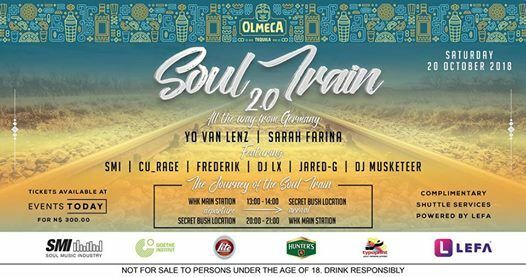 Soul Music Industry and Olmeca will be hitting the railway again on 20 October from 12:00 for 13:00hrs up to 21:00hrs. Tickets are available at EventsToday, PayToday and on Airtime City vending machines. 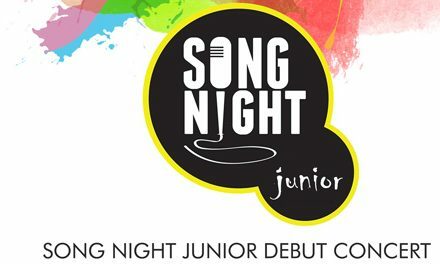 The event is not for persons under the age of 18 and right of admission reserved. The train will leave at 13:00 sharp at the Windhoek Railway Station enroute to the location. If one misses the boarding time, LEFA Namibia will have a free shuttle service to the secret bush location and back to Windhoek for those who want to get home earlier. According to the organisers all guests have the opportunity to embark their adventure by popping onto one of our arranged coaches at the Windhoek Railway Station, located in the central part of Windhoek. On or off-board, both venues come equipped with a dance floor and a bar for a smooth transition between venues. “Depending on the weather, consider taking something warm, as well as your sunblock, bathing suit and towel,” they concluded. NextWho are the winners and losers in Africa’s Continental Free Trade area?